The Wall Street Journal reports (via TinyCartridge) that Tomodachi Collection, an original, quirky game straight from Nintendo, is getting a Western release soon. "The company is now working to decide what can be kept and what needs to be scrapped for its overseas launch of Tomodachi Collection—or 'Friend Collection'—a 3DS life simulation game in which Miis from consoles can interact with one another and develop via mundane activities, such as exchanging food and clothing." Tomodachi Collection is a hard game to describe; it's a life sim that bears some similarities to Animal Crossing and the Sims with its focus on day-to-day life rather than on gameplay. Your Mii avatar interacts with other Miis, sharing dreams, and attending evens, and experiencing random life experiences. The game is distinctly Japanese in many ways, but as Iwata says in the article, "Even the most 'Japanese' games can translate abroad without losing their identity." Microsoft's Major Nelson has announced next month's lineup of free games for Xbox Live Gold members, revealing that subscribers can expect to receive free copies of Toy Soldiers: Cold War and Dead Island in February. Signal Studios' Xbox Live Arcade strategy game Toy Soldiers: Cold War includes a series of tower defense-styled battles featuring miniature foot soldiers and combat vehicles. Dead Island, a 2011 retail release from Techland, is a first-person action game that challenges players to survive a zombie invasion at an island resort, with help from friends via online cooperative play. As with previous Games With Gold program releases, both Dead Island and Toy Soldiers: Cold War are free for users to keep once they are downloaded, even after associated Xbox Live Gold memberships expire. New games are added to the service on the 1st and 16th of each month. 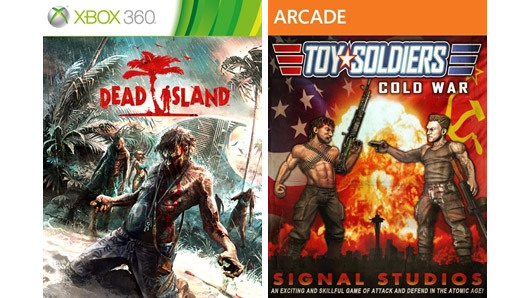 Toy Soldiers: Cold War, Dead Island free for Xbox Live Gold members in February originally appeared on Joystiq on Fri, 31 Jan 2014 17:30:00 EST. Please see our terms for use of feeds. If you're in the market for a year of Xbox Live Gold, Best Buy and Amazon are selling subscription cards on the cheap. You can get a year for $40 - $20 off the usual asking price. Purchasing through Amazon will net a code that you can immediately plug into your Xbox 360 or Xbox One, while going the Best Buy route means you'll have to wait for a physical card to be mailed off. Or you could simply walk into your local Best Buy and pick one up, granted supplies aren't limited. There's no telling how long subscriptions will be on sale for, so interested parties will want to pounce sooner rather than later. Xbox Live Gold is necessary for most premium apps, such as Netflix, on Xbox Live as well as for online multiplayer gaming. Having a Gold subscription also guarantees you free games each month. In January, Microsoft hooked up subscribers with free downloads of Sleeping Dogs and Lara Croft and the Guardian of Light. Get one year of Xbox Live Gold for $40 at Amazon, Best Buy originally appeared on Joystiq on Fri, 31 Jan 2014 17:00:00 EST. Please see our terms for use of feeds. Tom and Kevin have both had the chance to play Dark Souls II and give their first impressions of this highly anticipated action RPG. 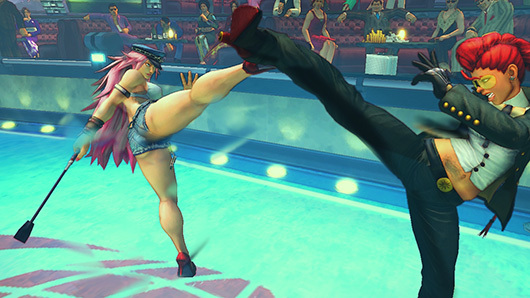 There isn't a single character who won't undergo some tweaking in Ultra Street Fighter 4. Capcom posted a massive change log over on Capcom-Unity, revealing not only individual character balances, but also some more detail on how the new Red Focus attacks and Ultra Combo Doubles will work. Red Focus attacks, charged strikes that allow the user to absorb an infinite barrage of hits while they wind up and deliver a focused attack, are performed by hitting the light punch, medium punch and medium kick buttons all at the same time. Red Focus takes up two meters from a fighter's Super guage, but you can also perform an EX version of that same move using three meters. Capcom also broke down the damage output for characters who choose to employ the Ultra Combo Double, which lets fighters go into a match having both of their character-specific Ultra Combo moves equipped; however, going this route sacrifices some of the potency. Zangief, Cammy, Fei Long, T.Hawk, Makoto, Hakan, Dhalsim, Rose, Akuma, E. Honda and Hugo will all do 60% of their usual damage when utilizing the Ultra Combo Double, while every other fighter in Ultra Street Fighter 4 will do 75% of their Ultra's usual damage. As for individual character changes, a lot of folks are having certain standing attacks and special moves sped up, while a few others like Chun Li and Evil Ryu will be given extra life in Ultra Street Fighter 4. For the full breakdown on character-specific changes, hit up Capcom-Unity. Ultra Street Fighter 4 change log details new mechanics, character tweaks originally appeared on Joystiq on Fri, 31 Jan 2014 16:00:00 EST. Please see our terms for use of feeds. Red Focus attacks, charged strikes that allow the user to absorb an infinite barrage of hits while they wind up and deliver a focused attack, are performed by hitting the light punch, medium punch and medium kick buttons all at the same time. Red Focus takes up two meters from a fighter's Super gauge, but you can also perform an EX version of that same move using three meters. Capcom also broke down the damage output for characters who choose to employ the Ultra Combo Double, which lets fighters go into a match having both of their character-specific Ultra Combo moves equipped; however, going this route sacrifices some of the potency. Zangief, Cammy, Fei Long, T.Hawk, Makoto, Hakan, Dhalsim, Rose, Akuma, E. Honda and Hugo will all do 60% of their usual damage when utilizing the Ultra Combo Double, while every other fighter in Ultra Street Fighter 4 will do 75 percent of their Ultra's usual damage. Ultra Street Fighter 4 change log: new mechanics, character tweaks originally appeared on Joystiq on Fri, 31 Jan 2014 16:00:00 EST. Please see our terms for use of feeds. Feedbackula – Elder Scrolls Online Alarm! Satya Nadella, currently head of Microsoft's cloud computing division, looks set to take over from Microsoft's current CEO Steve Ballmer. It follows multiple runners and riders for the job being tipped over the course of the last few months, from Julie Larson-Green to Stephen Elop. According to Bloomberg Nadella is the mostly likely candidate to be tipped so far, however. Indian-born Nadella has worked for the firm for over 22 years, but despite that his online and media presence is fairly minimal, making him a fairly unknown candidate outside of Microsoft itself. My favorite blue Aura wielding Pokemon will be joining the cast of Smash Bros. once again. Yes, Lucario has been confirmed for Super Smash Bros. Wii U/3DS. We also know from Sakurai’s post that the influence of his Aura has been increased. For those who aren't aware, when Lucario becomes more damaged he becomes more powerful. Sakuari also mentions that Lucario only appeared in Super Smash Bros. Brawl due to the staff’s extreme effort in increasing the game's roster count. As of right now we have no screenshots on his final smash, leaving it up in the air if it will stay the same or will be related to his mega evolution. Remember Me developer Dontnod Entertainment is in financial mire, but CEO Oskar Guilbert claims the company isn't on the brink of bankruptcy. Speaking to GI.biz, Guilbert dismissed reports coming out of France today that the Parisian company is in fatal trouble after it entered "judicial reorganization" this week. "We started new projects and those new projects need some investment and we decided to resize the company in order to match these new needs. That's why we needed judicial reorganization," Guilbert asserted to GI.Biz today. "I cannot say that we have no financial difficulties, we have some, but I think that now they are behind us, not in front of us." Judicial reorganization or redressement judiciaire is a similar process to receivership, where the French courts appoint an administrator to oversee a company's restructuring when it has troubles paying its debts. The process can be drawn out over many months, but it's often a precursor to liquidation. Guilbert says Dontnod is in "close negotiations with one big partner," presumably to take over, and in "very close negotiations for our next project with one of the top publishers." 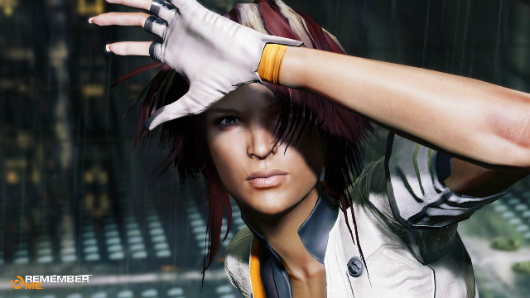 Despite being published by Capcom, Remember Me was a game that struggled to live up to its name, both critically and seemingly at retail; Capcom failed to even note the game in its financial brief for the quarter following its release last summer. In March 2013, Dontnod received 200,000 euros from France's National Center of Cinematography, apparently for a separate project denoted as "What if?" - here's hoping that isn't an ominous name too. Remember Me dev Dontnod enters 'judicial reorganization' following financial struggles originally appeared on Joystiq on Fri, 31 Jan 2014 11:30:00 EST. Please see our terms for use of feeds.